Jagmeet Singh, Ontario MPP and deputy leader of the Ontario NDP, has entered the race to become the leader of the federal NDP. The 38 year old has been MPP for Bramalea—Gore—Malton since 2011, and became deputy leader of the provincial NDP in 2015. He was the first turban-wearing Sikh to sit as a provincial legislator in Ontario, as well as the first to hold a deputy leader position in Canada. Announcing his bid for the federal NDP leadership in a Facebook live broadcast, Singh, a former trial lawyer, said he was proud to join the race. “Nobody should be made to feel like they don’t belong, we need to build a Canada, an inclusive Canada where everyone can realize their dreams,” said Singh. 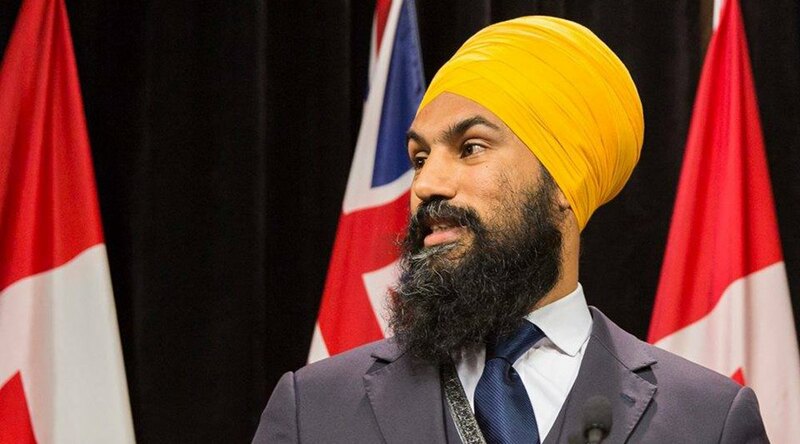 Although currently elected in Ontario, Singh has also campaigned for provincial NDP candidates in Alberta, British Columbia, and Manitoba. “Over the years I’ve had the privilege, the honour to travel throughout the country and meet people from all walks of life,” said Singh. Singh cited his biggest influence in life as his mother, who he says taught him that we are all connected. “If one person is suffering, we are all suffering… If we lift up the people around us, we all rise,” he said. “At the core of every New Democrat, there is an intense drive to fight inequality,” said Singh. In 2016, a poll by Mainstreet Research asking NDP supporters who they would vote for in an as yet unplanned party leadership contest, Singh came in joint second place. Nathan Cullen topped the poll with 17%, while Singh and Avi Lewis followed, both with 11%. However, in reality, the leadership race has offered up a different group of candidates. Singh is now running for the NDP leadership against Charlie Angus, Niki Ashton, Guy Caron and Peter Julian. In the Mainstreet poll, Ashton scored 4% while Julian scored 10%. Angus and Caron were not included.